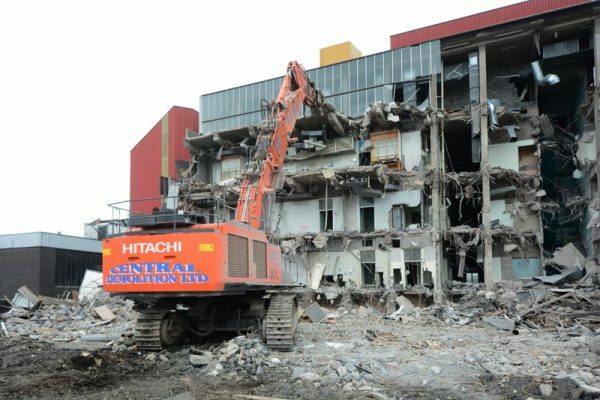 One of Central Demolition’s largest and most challenging undertakings in recent years, the Freescale Motorola project was a long-term, large-scale project which was underway for a substantial amount of time. 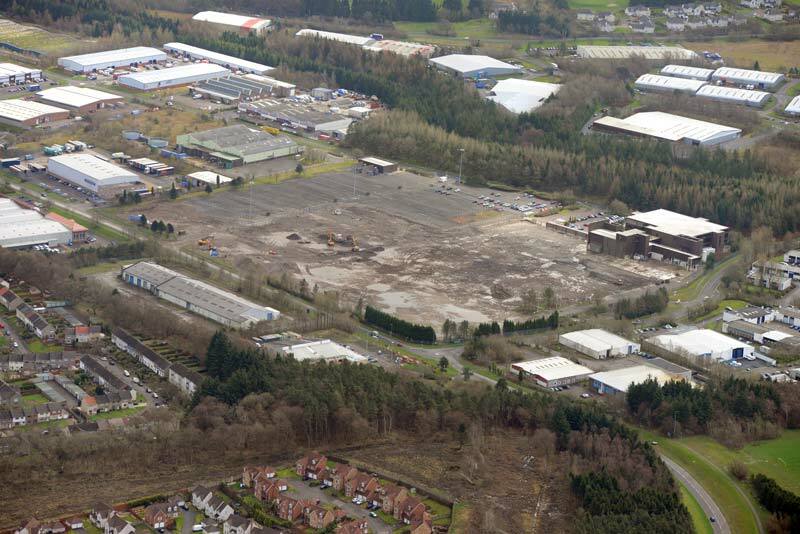 The buildings were located at the former Freescale Motorola site on Colvilles Road in East Kilbride, and neighboured a live office building, roads and facilities housing highly sensitive equipment. From the very beginning – before we even commenced on site – the complexities and risks associated with this project were clear. 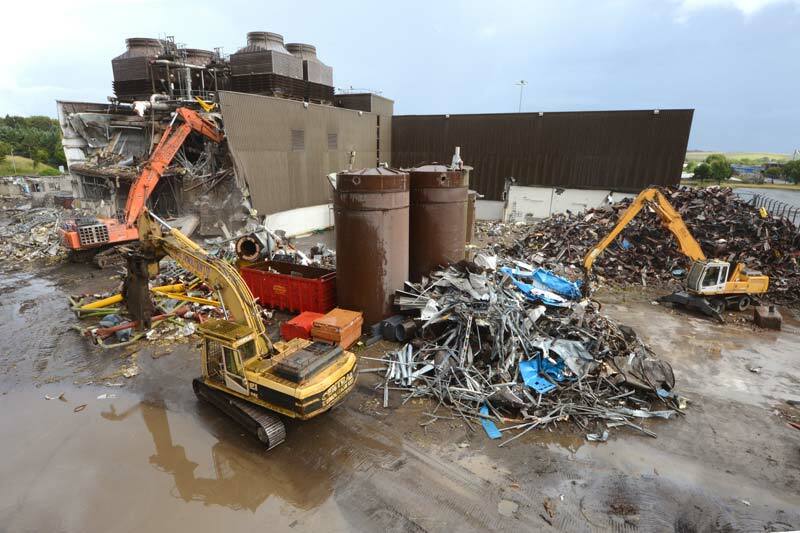 The facility being cleared was approximately 800,000 sq. ft. – so this was by no means a small project. 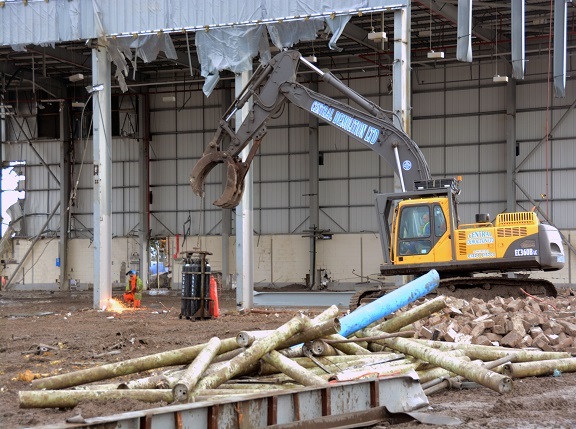 The project called for a site supervisor with extensive demolition experience and strong technical expertise. 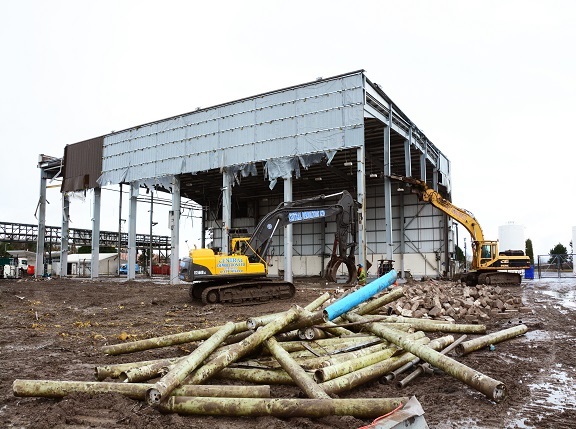 Up stepped one of our most senior site managers, John ‘Jock’ Shaw, who has vast experience in steel burning and the controlled dismantling/collapsing of steel structures – two core elements of this project. Jock recently won Morgan Sindall’s monthly safety award, and was shortlisted for the 2014 NFDC Demolition Manager of the Year Award – testament to his excellence as a demolition industry professional. Our strapline – ‘Projects delivered safely, on time and within budget’ – is taken seriously by Jock and on this project he certainly ensured that his team delivered on this promise. Care and attention was given to this project from personnel at all levels of the organisation – from our labourers performing integral tasks on-site to our Directors who visited the site regularly to ensure high standards were maintained. 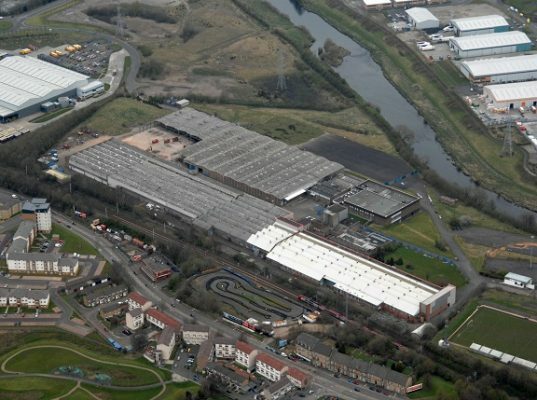 The site comprised of a large number of bespoke steel-framed buildings. These structures had been added over a period of years where required to facilitate expansion, by Motorola and then by Freescale. The biggest difficulties ensued from the fact that none of the buildings were of similar construction to each other or of consistent height or feature. This resulted in individual risk assessments and methodologies having to be conceived for each building. 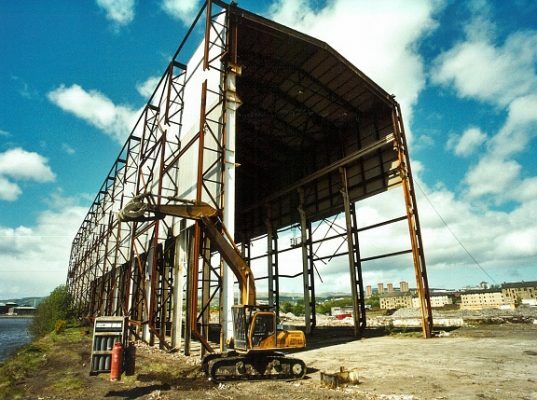 Site supervisor Jock’s steel expertise was of great importance when demolishing these structures, and every steel structure was removed successfully with no incidents or injuries occurring. 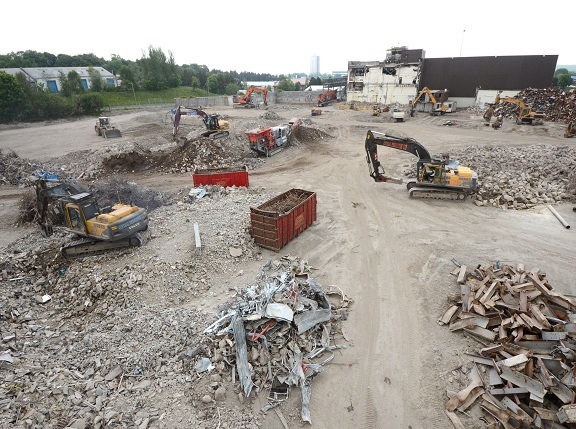 The demolition work was further complicated by the existence of a testing facility adjoined to the demolition site. This building houses highly sensitive testing equipment; equipment which could not be compromised under any circumstances. To prevent damage to the equipment we organised and implemented a vibration monitoring programme – and were happy to report that acceptable vibration levels were not breached once. On any site, we strive to be friendly and considerate neighbours. Being good neighbours was of paramount importance on this site – because one of the office blocks was still live; with business continuing as usual. We worked diligently to minimise the inconvenience caused to our neighbours by actively using dust suppression methods, monitoring noise levels, and by only working sociable hours. 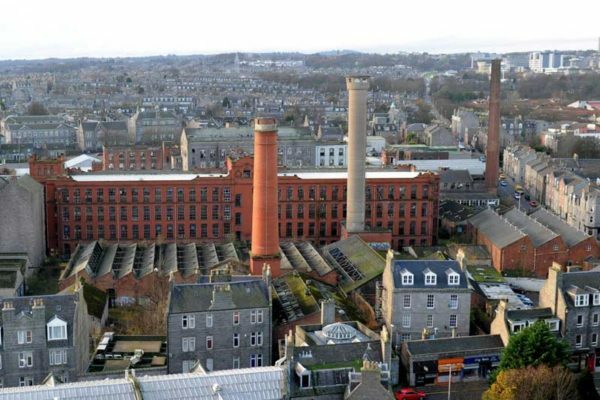 The site presented a multitude of hazards, and extensive remediation activity was required to keep the site safe at all times and to make it suitable for redevelopment in the future. 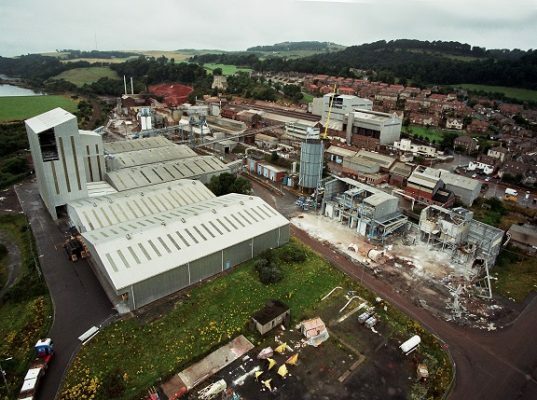 Being an industrial site, hazardous chemical processes had been utilised over the years. The network of stainless steel and plastic pipework – some pipes being twin walled – carried residual risks despite prior cleaning (By Others). We take safety seriously and flushed out and visually checked all pipes for sags and possible sites of hazardous materials/substances. Every single pipe was individually inspected and there was not one instance of any employee coming into contact with any of the potentially present substances. 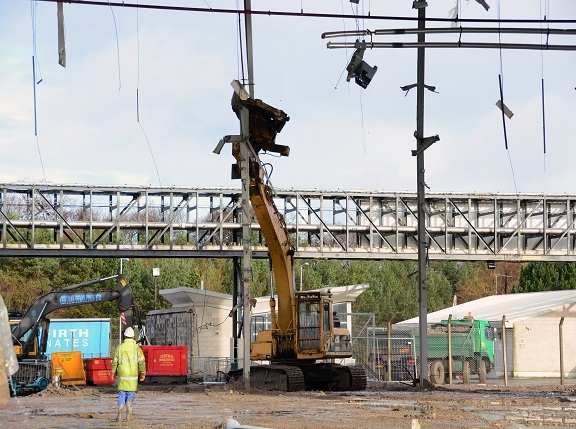 Another major hazard was having to work around the phased removal of high and low voltage cables during our works on site until the supply to the adjacent building could be diverted to a stand-alone supply. 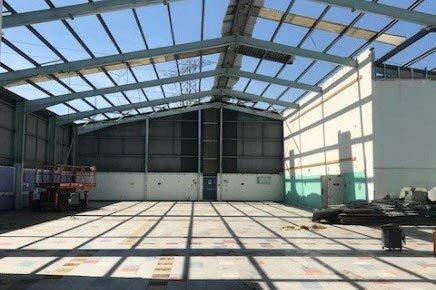 The lines were clearly marked out on site and pointed out to all employees during their site inductions to avoid accidents and because it was of paramount importance that power to the live building on-site was maintained at all times. Another example of a significant hazard was ground contamination. Some of the pits and work areas were found to be contaminated with oil. To resolve this hazard, these areas of ground were removed separately and carefully, and segregated for cleaning and remediation prior to recycling. On the subject of recycling – we were delighted to report a 95% recycling rate by weight volume. This demonstrates the resources, man hours and effort dedicated to this project. The high recycling rate was achieved through careful material segregation and control. 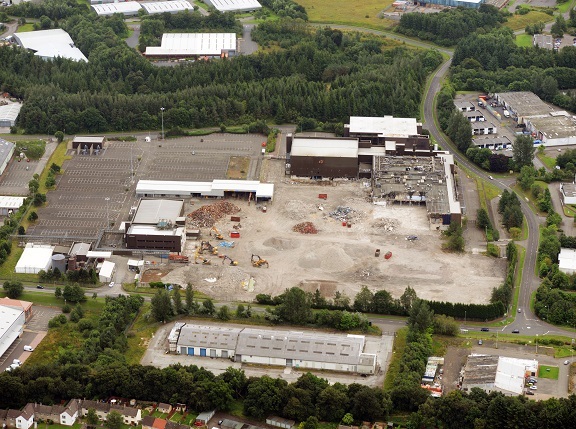 A significant volume of the materials arising from demolition works were transferred off-site to our state-of-the-art recycling facility in Bonnybridge. Our teams took a wide selection of materials – including timbers, plastics, metals and aggregates – and processed them to create recycled materials, suitable for reuse and resale. These materials included gravels and sands. 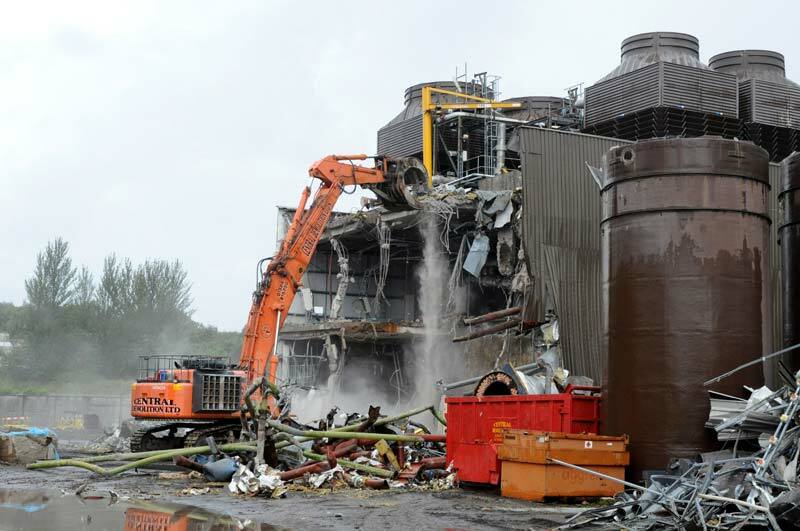 There was approximately 24,000 tonnes of scrap and 50,000 tonnes of concrete to be processed on-site! Items such as generators, plant, electrical systems and transformers were all salvaged and sold on to third parties; thus meaning that the vast majority of items were recycled, with the exception of insulation which had to be responsibly disposed of via landfill. During the initial handover period, Freescale had removed all of the equipment which they wished to retain from the site. The rest was left with us, and we were subsequently able to sell the items to interested parties via an auction house. Although this project did not receive much press coverage or initiate public interest, it did generate interest from fellow industry professionals. 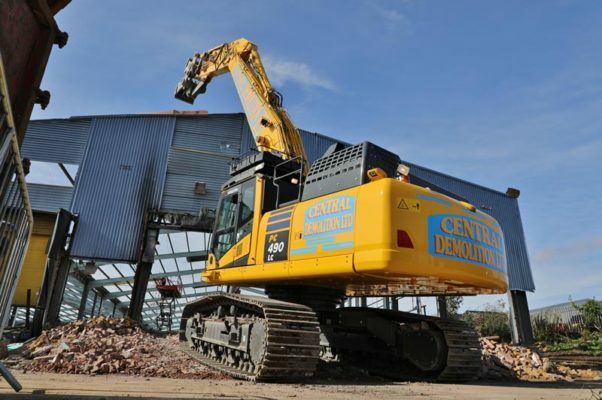 One fellow demolition industry professional was so impressed with how we tackled the challenging project that he covered the site for a two-page spread in our industry body NFDC’s Demolition & Dismantling Magazine, giving us excellent exposure. 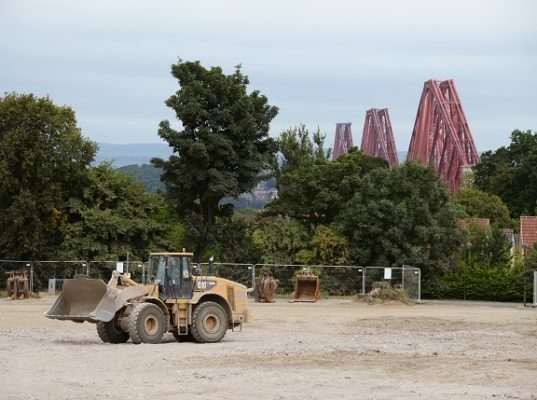 Our clients, Clowes Developments (Scotland) Limited were delighted with our team and our work on-site, and were happy to provide a testimonial recommending us to other potential clients. This much appreciated reference eluded to our professionalism, safe working practices and recycling efforts. This project was delivered safely, ahead of schedule and within budget. 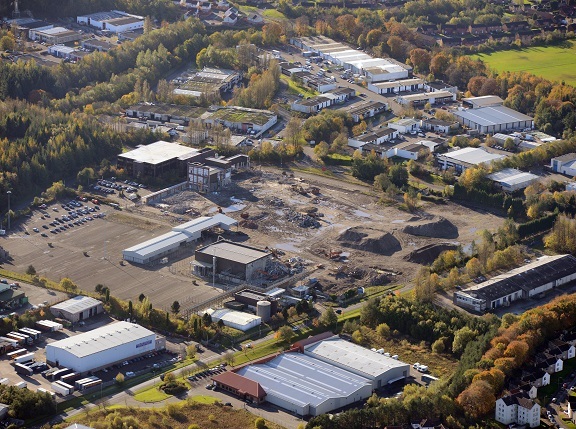 UPDATE: This project has been shortlisted for the Industrial Demolition Award at the 2014 World Demolition Awards!